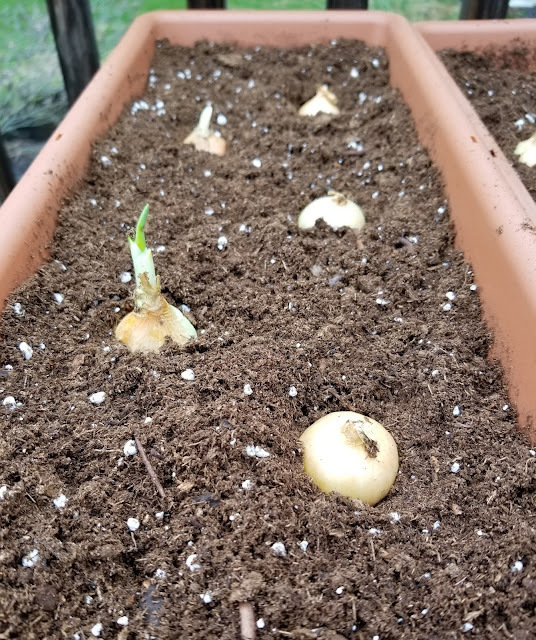 While perusing my local garden and pet store I found some onion sets and decided that I needed to give them a try! I haven’t tried to grow onions before so I had to do a little research first. Since I grow most (all) of my veggies in pots, I had to find out the correct size container for onions. In order to grow onions in containers, they need enough space to root and grow. 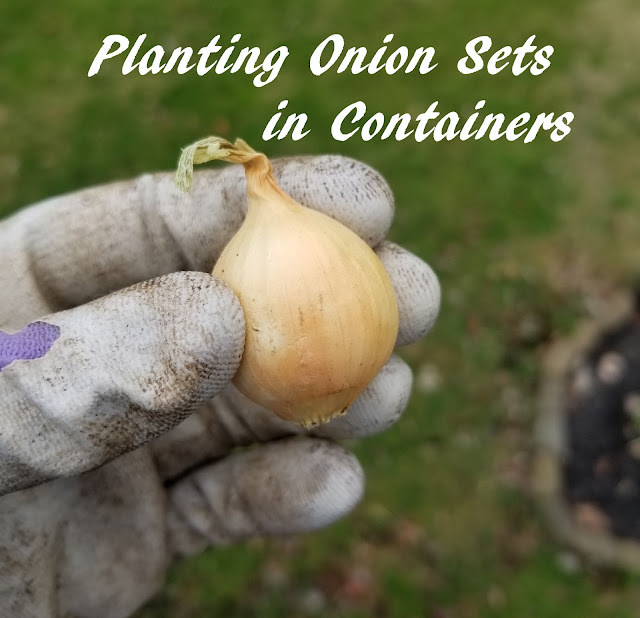 The container should be around 6 inches deep and about 4 inches between onions to give them enough space to grow large enough to make a decent size onion. 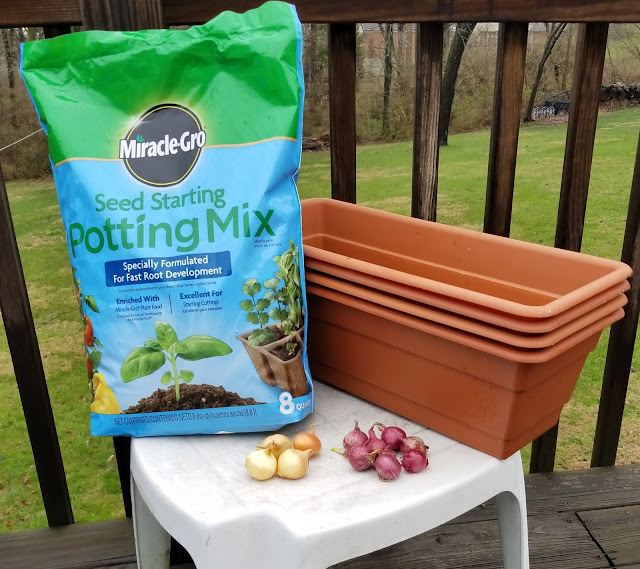 I pulled out a few pots and found some rectangle containers that are just a bit under 6 inches deep, as well as long and wide enough to fit about 6 onion sets in one pot. 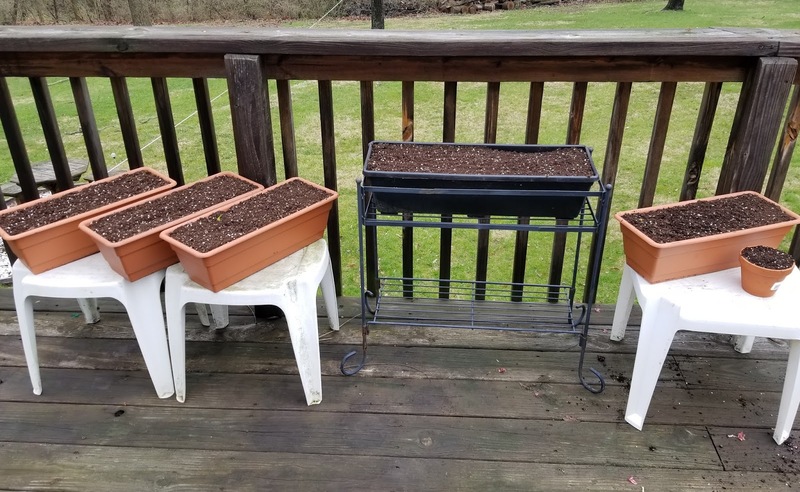 During my research, I found that onion sets can be planted once the soil is able to be worked and when the temperature won’t go below 20 degrees F. The rule of thumb for containers is that they can take temperatures about 10 degrees warmer than the average low end of a temperature. 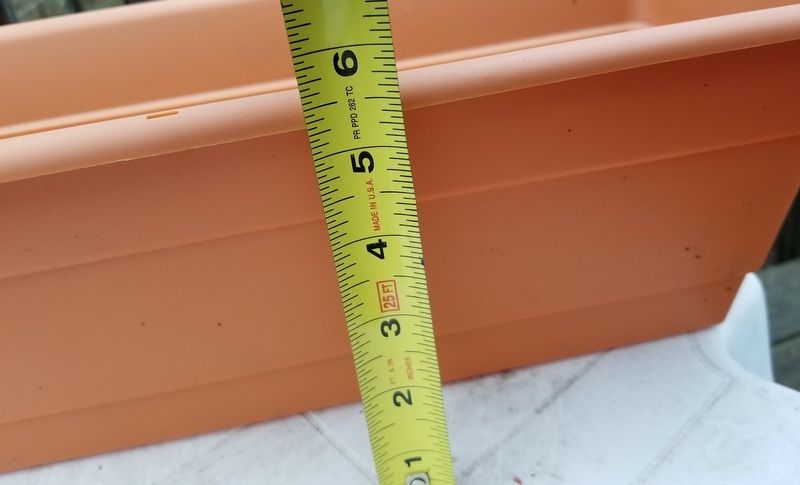 So my onion sets in containers can take cooler temperatures to about 30 degrees. If the forecast says the temp will go below that temp, I’ll pull them into the house for an evening. 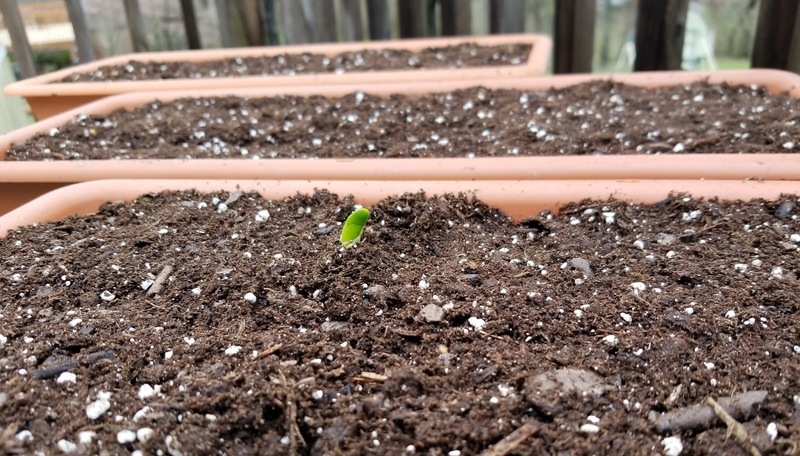 Onion sets should be planted about 1 inch below the surface of the soil. I filled each container with potting mix and then placed my onion sets so I could make sure they had enough room. To plant onion sets, put the root end down and the pointy end up. This will let the roots grow down and the greens to grow up through the soil. Then cover the onion set with soil and water them in! Onions need a lot of water, so make sure to keep soil moist, especially if keeping them in containers. Below is a picture of my current set-up! 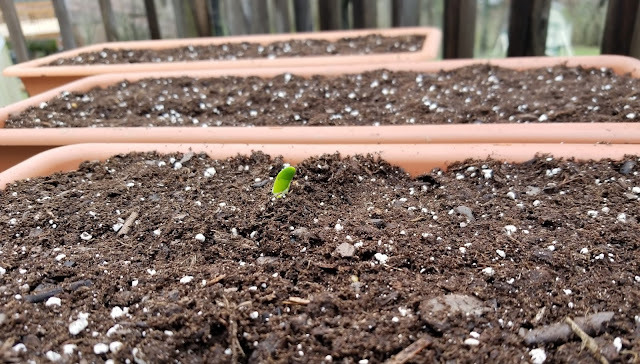 Have you ever planted onion sets? Do you garden in containers? Share in the comments!